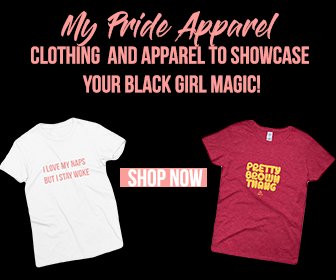 “You’re pretty for a black girl,” You’re not loud like the other girls,” or “you’re not built like the typical black girl,” are just a few of the phrases I have heard throughout my life. As a African American woman, I feel as if society tries to define us based off of the many stereotypes often seen in the media and therefore don’t realize our differences are what ultimately make us unique. Throughout life I often suffered from low self-esteem and found it extremely difficult to actually accept who I was. I went to a public school and unfortunately kids can be extremely cruel especially when you look, act, dress, and present yourself differently. In school I was known as “the quiet girl” and people knew I wouldn’t say anything to them thus making me a target of bullying. I had always wished I was as outgoing as the other girls in my class who actually had social lives unlike me. I feel as if the problem wasn’t me being quiet but it’s how African American women are portrayed in the media. 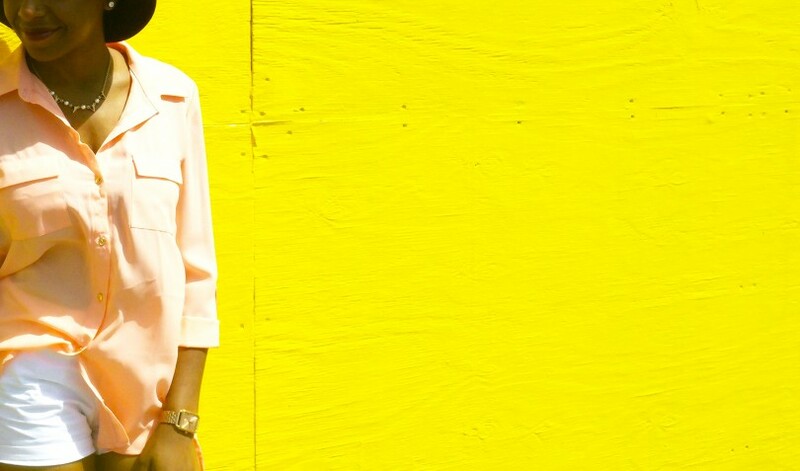 We’re not considered fully “black” or we’re not like the “other” African American women who are often portrayed as “ghetto,” “ratchet,” “loud,” and “uneducated.” I hated this aspect about myself because I kept thinking “more people would like me if I was talkative,” or “more boys would notice me,” and the list goes on and on. Even though I tried to change myself by joining various clubs and organizations, none of them truly interested me and I felt disconnected from people in general. Therefore I retreated from these groups and continued to stay off to myself. I did eventually meet some friends who were similar to me but ultimately I was still deemed as that “quiet girl” and not to mention I was socially awkward as well. Going into college I promised myself that I would be more outgoing and carefree. I thought to myself “Okay I’m around new people, now I can do this.” During my freshman year I was able to find a few activities I actually liked compared to high school, but I still felt extremely out of place. I ended up meeting a few people but I felt as if I had changed for the worse because I had completely lost myself trying to gain other’s approval. I had to take a step back and evaluate my life. If I wanted the right people to come to me I wanted it to happen naturally not because of what I had but of who I actually was. Sophomore and junior year of college, had to be the most insightful as I found myself at what I considered to be a crossroad. The same people who surrounded me freshman year were no longer around and I found myself constantly alone. One of the things I would do was keep myself busy with anything and everything I could think of. My life became a tireless routine of class, work, and study until I passed out. After a while I became consumed with anxiety and even went into a state of depression. I was doing well in school but had no type of hobby and/or passion in my life. My goal was to find myself and to love my true raw being. Even though I knew it would be a process I was determined to do some extensive soul searching. First I had to find the time to love myself. Thus began my journey of self-discovery. One thing I did love was to read for hours on end. Not textbooks or studying but simply for pleasure. Books on spirituality, enlightenment, religion, and love have all became a part of my collection. It wasn’t much but it did help me to get away from this crazy world and reality. Not only did I want to expand my knowledge but I had to start embracing my physical features as well. I’ve always felt ashamed of my body. I’m tall, slinky, and my hair isn’t exactly long or what I considered “pretty”. Secretly I envied curvy women wishing I had “the look.” Since I couldn’t change myself I changed my thought pattern. I continued to take a look at myself in the mirror and looked beyond the exterior and had to accept the fact “this is me.” Yes I am skinny, dark skin, and have nappy hair but this is the way God wanted me to be. Meditation and daily walks with nature became a part of my routine. I was more aware of my surroundings, I felt at peace, and the overall it made me appreciate life. I embraced my dark melanin and even decided to shave both sides of my head as a sign of liberation. I had to accept the fact my hair will never be long and/or straight and I was completely okay with my “nappy” hair. Therapy was one of the biggest steps I had to take. Not just to improve my anxiety and depression but to completely love myself as a whole. I had contemplated not going through with it many times before because of the stereotypes surrounding therapy especially in the black community. You know what? I didn’t even care about what others thought. I considered the people who actually attended therapy stronger individuals seeking answers, unlike the people who did nothing to express themselves. I was proud of my decision and it helped me to become more aware of my surroundings, my religion, my family, and my emotions, ultimately helped me to become in tune with myself which is a beautiful thing. Take some time for yourself in between your hectic schedule. Take a bubble bath, read, walk, and/or spend some time with loved ones. Do something that takes your mind off of reality. Everyday wake up and think of one thing you may be thankful for. Rather it is your health, family, friends, or just breathing in the new day’s air. Even though I didn’t know much about meditation until my junior year in college it’s a great way to become aware and also learn about the chakras in order to be able to cleanse your body, mind, and soul. Exercise is not only beneficial to your physical health but can greatly clear your mind. Even taking a nature walk can help you feel at peace and ready for the day ahead. Keep in mind the company that you keep can greatly affect you as a person. Keep negative energy away from you and surround yourself with positive energy. I don’t mean this in a sexual way but literally get completely naked in front of mirror and take a good look at yourself! Embrace every, inch, curve, and “flaw” that you have and realize you’re beautiful and worthy of self-love. 4 Comments on "Loving Yourself: The Ultimate Challenge"
I absolutely loved this post …. At one point, I thought the person you were describing was me🙀 I am greatful for the person I was and I am thrilled of the person I have become. MY LIFE used to be over- capacitated with lots of hurt, anger and pain. I am much better now, I can now love myself and learn to appreciate the things that I do have. I can now be “Me”….and it feels sooooo Good! Such a powerful post!!! I got teary eyed on several parts of this. It’s so important to embrace who we are and to take care of ourselves without apology. I have done therapy and encountered the same issues you mentioned regarding people’s preconceived notions. But I’m so glad I did that for ME. Absolutely moved by this post! Advocating self-love is v. important especially in the black community where we are the most objectified nd reading about this ambassador of self-love is inspiring!